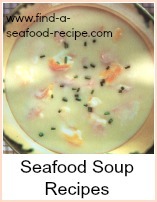 This is a lovely fish soup recipe - traditionally from the North of England. It's a smoked haddock soup thickened with mashed potato. 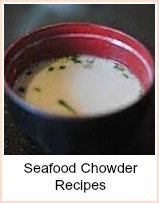 This is a delicious thick and creamy fish soup and makes a substantial lunch. This is such an easy soup - it's perfect for beginners as you've no messing around with making roux or other thickeners. The potato is the thickener and it works so well - it's lovely and creamy and makes a really substantial meal. It's traditional to make it with smoked haddock, but you could use any smoked white fish you like - treat it in the same way. Put the haddock, onion and water into a pan. Bring to the boil and simmer covered for about 10 minutes. Scum will rise to the surface, so check occasionally and skim. You do this by taking a slotted spoon and removing the frothy bits that rise to the top of the simmering liquid - just put it in your kitchen sink and run the hot tap over it - a squirt of bleach will take the smell away. 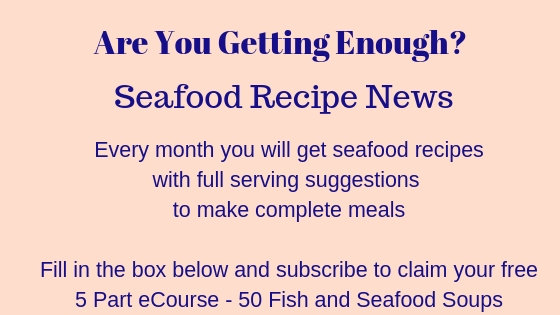 Remove the haddock from the pan, then bone, skin and flake it and put it to one side. Return the bone and skin to the stock, simmer for about 30 minutes then strain the liquid. Do this through a very fine sieve or a muslin cloth to make sure you get rid of all the bones - you don't want any in the finished soup. Add the quartered potatoes to this stock and boil for about 25 minutes until they're soft enough to mash. Remove the potatoes and mash them smoothly with the butter. Add the milk to the pan and bring to the boil - then whisk in the potatoes until the soup is thick and creamy. 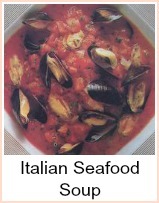 Return the pan to the heat, stir in the flaked fish and when it's piping hot, serve with crusty bread and butter. You could garnish it with a little chopped fresh parsley if you like. 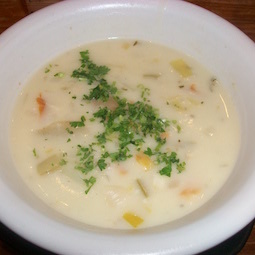 This Cullen Skink is a lovely fish soup recipe - traditionally from the North of England. It's a smoked haddock soup thickened with mashed potato.